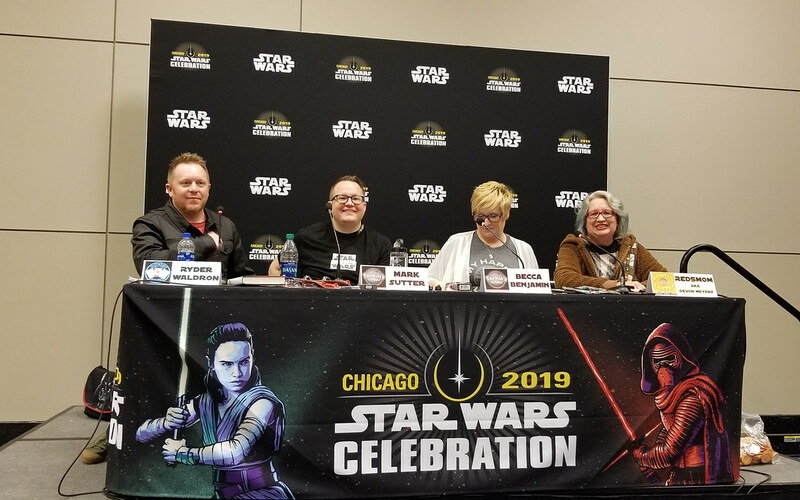 Day two at Star Wars Celebration Chicago 2019 was the first day of panels, and it all kicked off with the Episode IX panel. I didn’t win any of the panel lotteries, so I headed straight for the Star Wars Live Stream Stage on the exhibit floor which is way better than last time. It’s bigger, a better layout, and there’s more screens. 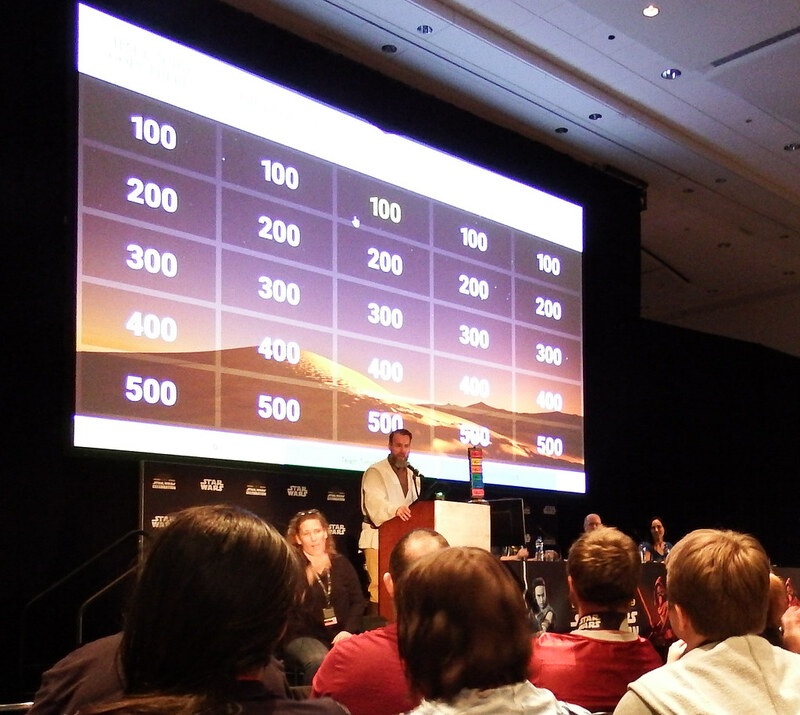 While you don’t get to be in the room with the celebrities, you still get to experience it with a big group of Star Wars fans and get the live reactions of the crowd. The two biggest crowd reactions from the trailer? Lando and the Emperor’s laugh. From there, I found my way to the Podcast Stage where I spent a lot of the day. I like podcasts, so it shouldn’t come as any surprise, and live podcasts are some of the best. First up with Skytalkers who got to go over initial reactions to the new trailers we’d all just seen as we tried to start analyzing and speculating on all the goodness. Then there was Tarkin’s Top Shelf which also included Idiot’s Array and Kanata’s Castle. The main topic spawning story ideas which covered a wide range or characters and story possibilities, from Rae Sloan to an Ezra and Tarkin team-up story, Lando’s little maneuver at Tanaab, Yeager racing Han, or filling in the gap between The Force Awakens and The Rise of Skywalker. Next up was Beyond The Outer Rim which turned out really good. Rather than discussing the new trailer, they focused instead on The Phantom Menace, which was a lot of fun. Then there was Skywalking Through Neverland, who always puts on a good show. As usual, they did a full production complete with secret squirrel, an appearance from Vader who called everyone a rebel spy except Rich, a crowd Q&A discussion about The Rise of Skywalker teaser, Din from the F-105’s was there to do a brand new song he came up with which was fantastic, and they did a blind fold spelling game which was funny. Overall, great panel. Right next to the Podcast Stage is the Droid Builders room. They had some cool droids on display, everything from R2’s and K2-SO, to Jawa’s and Bucket from Star Wars Resistance. 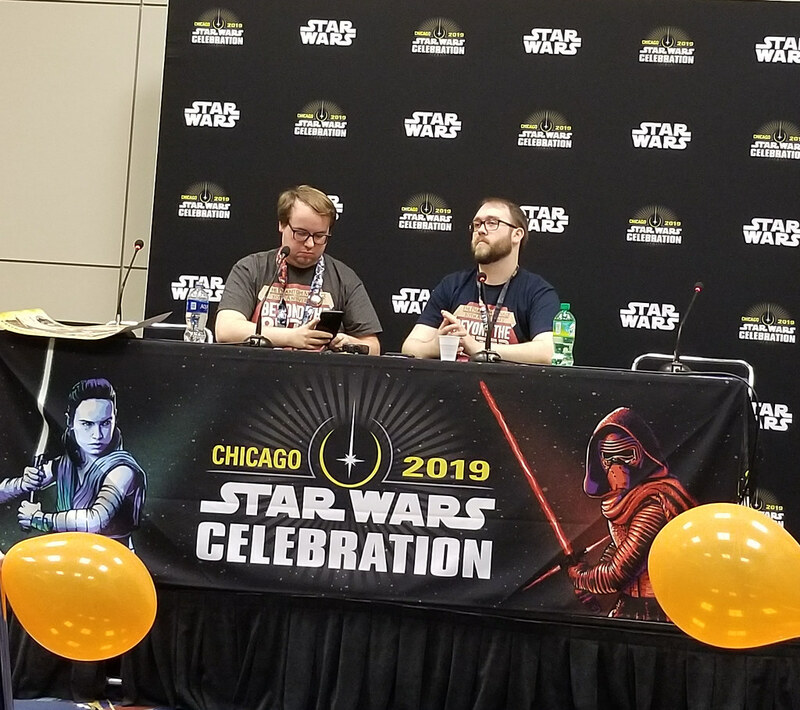 To wrap up the day, I headed over to the Twin Suns Stage to check out the Star Wars author trivia panel hosted by audiobook narrator Marc Thompson. 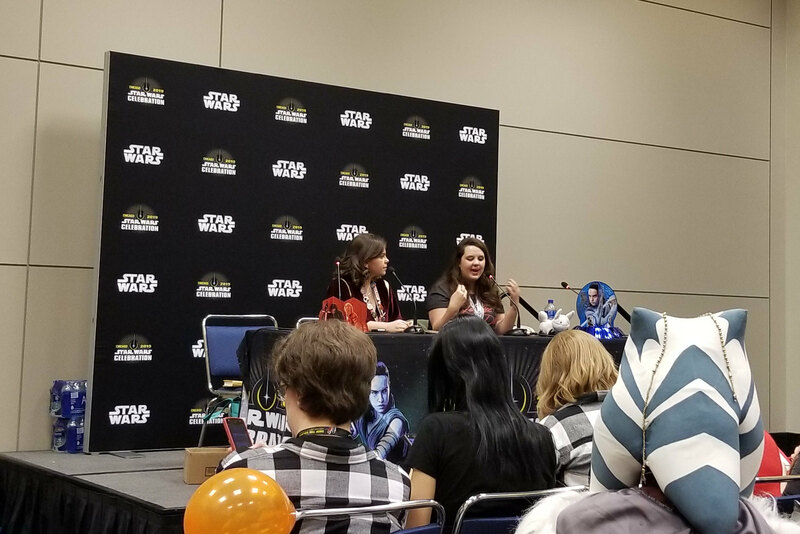 Authors Claudia Gray, Delilah S. Dawson and Timothy Zahn were all there, and three people were selected from the crowd to join the authors. They forced three teams and competed against each other. It was pretty fun, and Marc Thompson was a great host, though he did give away a couple of the answers which made everyone laugh. And by the way, Delilah S. Dawson is hilarious. She has some quick wit. Day 2 was a busy one and a fun one. Looking forward to day 3!